I updated the site today with a new series of pictures from a recent trip to Detroit, in which we explored some of the abandoned skyscrapers and notable historic sites in the area. A common thread of nearly all of my work is the exploration of the passing of time. I am drawn to the ruin. To explore locations such as these is a unique experience - to have the opportunity to discover something forgotten or discarded which few have seen or may never see again after the passing of time. That said, we entered these locations with respect to them as monuments to the past, walking away with only pictures, leaving no other trace of our visit. Sadly, not all previous visitors have done the same, as the damage from looting and vandalism is very apparent. The design and attention to detail in many of these older buildings was amazing - beyond the level of anything I had seen previously in this state of abandonment. 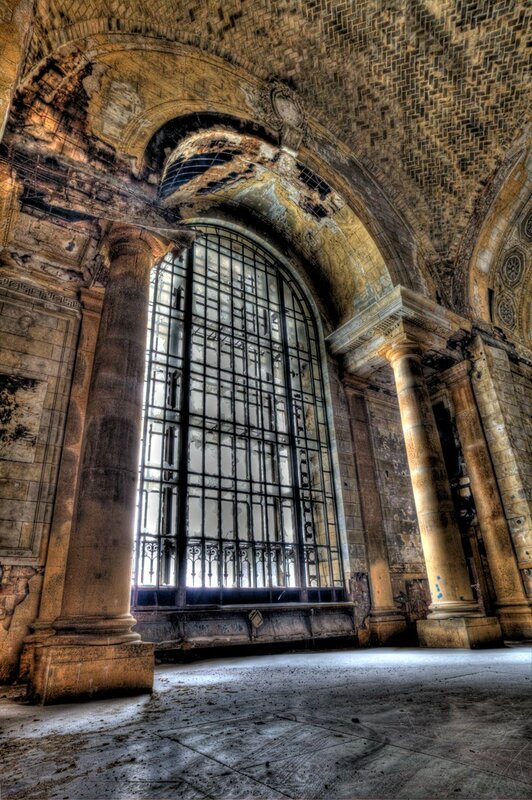 Michigan Central Station, featured in a number of pictures in this new series, is perhaps one of the most ornate and beautiful locations that I've ever had the opportunity to shoot. Yet, the beauty of these old structures is contrasted with their state of abandonment and disrepair, and speaks volumes as to the effect of the migration of the automotive industry away from Detroit.